Are you looking for a way to take your German listening skills to the next level? 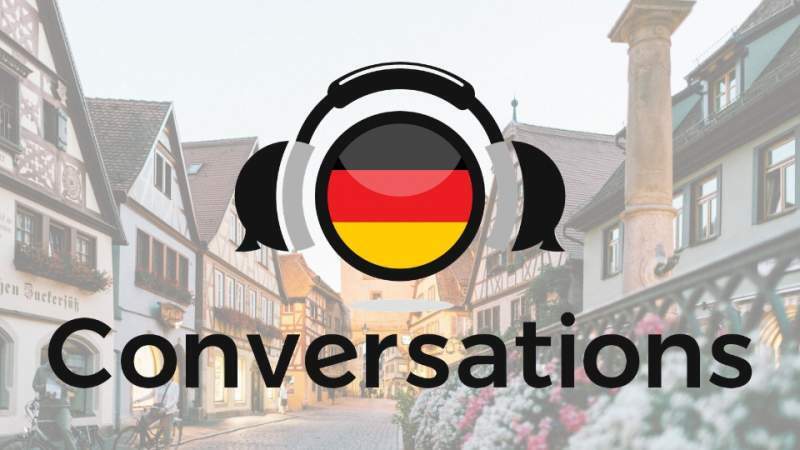 German podcasts are an underestimated language learning resource that can help you become more fluent in everyday conversation. 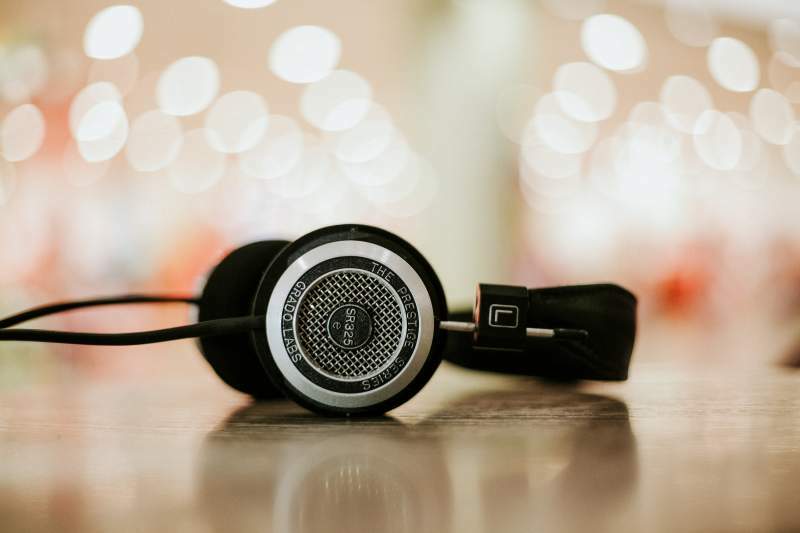 If you're ready to build your vocabulary with some real-life expressions, check out these top 10 podcasts for beginner and intermediate learners! You're sure to find something to suit you and help you build up those all important German listening skills. German Pod 101 is a great place to start for beginning and intermediate German language learners. If you're an absolute beginner, this podcast will have you speaking from the day one. You'll learn conversation basics that help improve your comprehension while gaining insights into German culture. The website hosts are a native German speaker and an American expat living in Germany. So you get explanations about the similarities and differences between German and English. This podcast gives clear and logical explanations of the German language for native English speakers. At the same time, you'll learn relevant and authentic expressions. All podcasts are completely free for three weeks after their release. Podcasts older than three weeks are still accessible for a subscription fee in the lesson library. 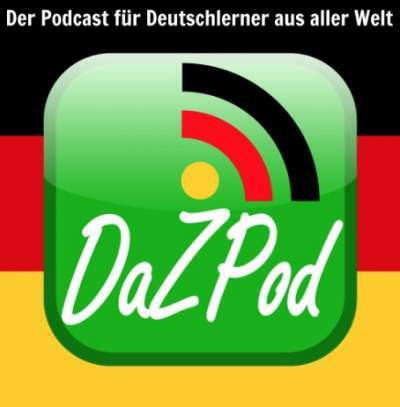 German learners can find 3 to 5 new podcasts here per week. LingQ podcasts are an excellent way for beginning and intermediate German language students to get immersion in conversational German. With native German speaking hosts, this podcast will help you jump right into everyday German. 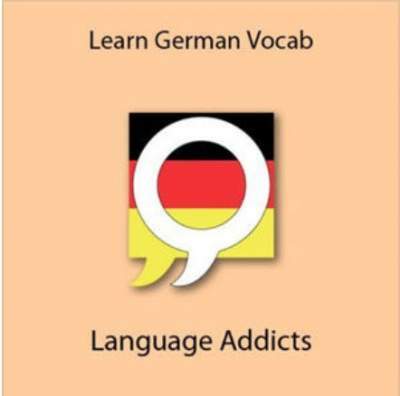 LingQ has hundreds of hours of content to keep any German language learner engaged. The online community offers additional support and tutors that can help simplify the language learning process. You can also use the site's online tool that allows you to import a German text as a lesson you can learn from. This feature allows you to create custom lesson content, based on the topics you find interesting. 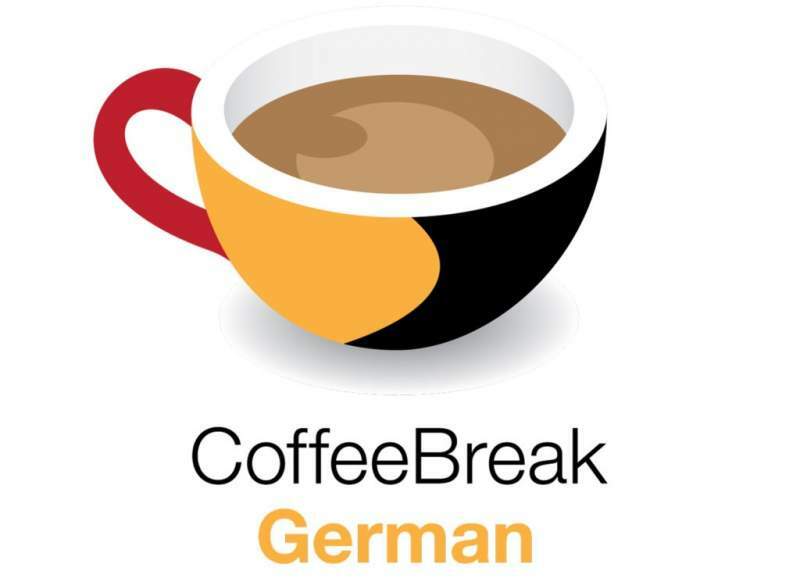 Coffee Break German offers beginning and intermediate learners casual lessons for easy listening. Podcasts are 20 minute-long mini-lessons, narrated by German native speaker Thomas, who is teaching his student Mark the basics. New words and phrases are broken down for you. And you're encouraged to practise pronunciation. Some of the topics include food, culture, and travel. You can easily follow along thanks to Mark's detailed questions and Thomas' informative clarifications. Podcasts are free to stream from the website. For those craving more content, the Coffee Break German Academy offers supplemental subscription content, flashcards, notes, and other resources. 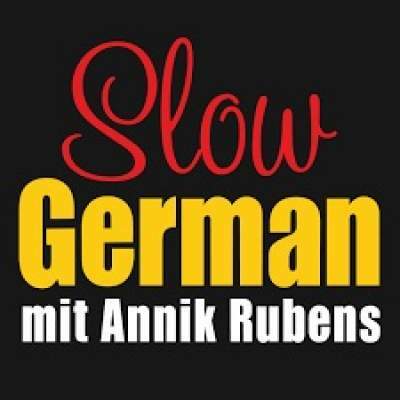 As the name suggests, Slow German emphasises slow, yet authentic, pronunciation. Plus, you can follow along more easily thanks to the transcripts. The host, Annik Rubens, is a journalist from Munich. Her slow pronunciation means you can focus on understanding each syllable. The podcasts for beginners are partly in English and cover everyday situations, such as ordering food at a restaurant. In contrast, the episodes for intermediate learners take place entirely in German. However, the slow pace is easy to follow. And transcripts can help you understand what's being said. Additional learning material is available on the website for paying subscribers. The premium package includes grammar lessons, tests, bonus material, and fun facts. This podcast features role-playing scenarios that are perfect for beginning learners. So you don't need previous knowledge of the German language to follow this podcast. The hosts guide you through role-play situations such as speaking about family, making plans, giving directions, and ordering food. Because each new phrase is explained and repeated several times, you can quickly and easily pick up new expressions. Podcasts are free on the website. But additional materials require a subscription. You can purchase episode transcripts, lesson guides, and grammar tips. In short, for those just starting their German language journey, “Learn German by Podcast” is an excellent way to gain exposure to real-life conversations. The Deutsche Welle Warum Nicht podcasts are ideal for beginner and lower intermediate learners levels A1 to B1. The episodes describe the adventures of a journalism student, Andreas, who works at a hotel. Andreas is a native speaker and introduces listeners to natural and authentic German language as they follow the adventures of his everyday life. Each situation is introduced in English. But you're encouraged to complete the entire episode before looking up individual words and phrases. Grammar and vocabulary are clearly explained in the accompanying PDF files, along with transcripts and practice exercises. 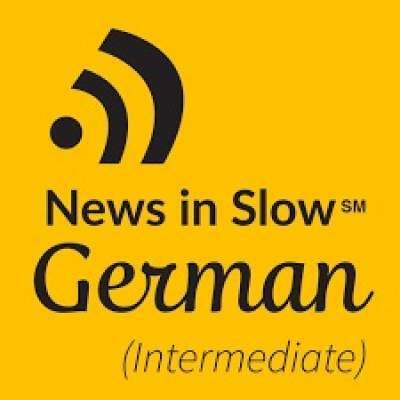 In addition, Deutsche Welle offers a podcast series called Wieso Nicht for B1 intermediate learners. These podcasts are similar to the Warum Nicht episodes, except that they don't include English translations and explanations. This series contains topics relating to everyday life in Germany and Austria with full transcripts available in PDF format. This German podcast keeps intermediate listeners updated on current and relevant events. The speakers pronounce words and phrases slowly. So you can easily follow along. You'll enjoy the exciting, engaging, and current news stories that first introduce a topic before diving into the details. Each episode features a different, easy to understand grammar and vocabulary highlight. Meanwhile, the website offers transcripts, grammar explanations, pronunciation help, and quizzes as additional learning material. This podcast encourages efficient learning by presenting real German language in a way that makes sense. You can tune in each week for new episodes, conversations, and culture in the form of immersive language learning content. 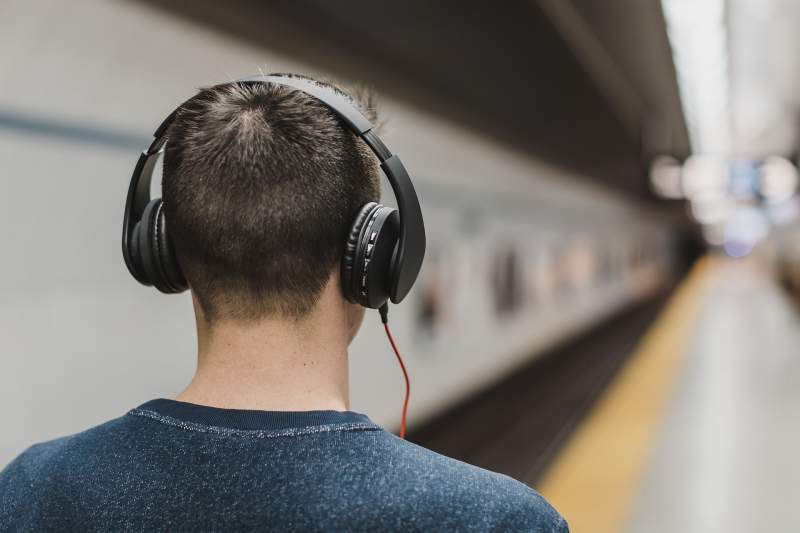 If you're an intermediate student, you can build up your vocabulary with these German podcasts from Language Addicts. Each lesson is on a specific topic, such as family, routines, relationships, and household items. And introduces a set of new words and phrases. You progress through the levels of competency, from familiarise and recognise to memorise. You grow your comprehension as you progress through these levels. And work through the corresponding vocabulary lists. The three most recent episodes are free for everyone, whereas older podcasts are available per subscription in the archive. Also, you can download additional resources from the website. Finally, upper-beginner and intermediate learners will find DaZPod's slow pace easy to understand. Each episode tells a life-like story in an authentic German narrative. You can quickly find appropriate podcasts according to the language level of each episode. In addition, you can download transcripts in German to help with comprehension. The podcasts cover a broad range of topics from owls, to Nutella via megastores. Although the podcasts are no longer in production, you can still access 50 episodes. Every episode contains useful vocabulary and grammar for everyday situations. So I recommend you listen to each one more than once for in-depth understanding. Plus, there's some good news: the creators of DaZPod now offer a new set of podcasts under the name Twilingo. These podcasts start with equal amounts of English and German. As the lessons progress, you hear less English and more German. That way, you can gain understanding effortlessly, just by following along. This last one is a little different to the others on the list. Technically, it isn't a podcast. But it does have a lot of similarities. 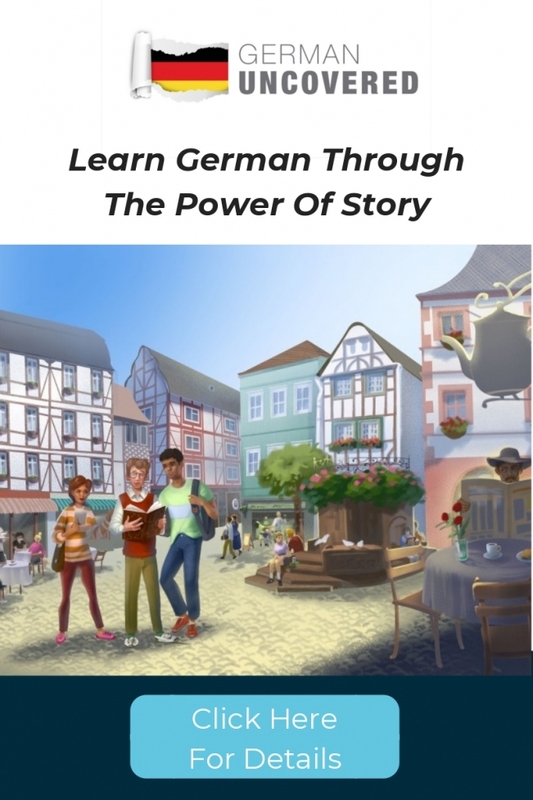 It's engaging, story-based and perfect for intermediate German learners. What could it be? It's Conversations, my intermediate listening material for German learners who are frustrated with their listening abilities. Like the best podcasts, Conversations comes with transcripts, an essential tool for truly improving your listening skills. The course tells an intriguing story in 20 parts. So it's a bit like a 20-episode podcast series that'll keep you hooked from story to story. Even better, Conversations helps you understand real spoken German and transforms your listening skills in Less Than 90 Days. Go check out German Conversations here. As you can see, podcasts are an incredible language learning resource. And a convenient way to experience total immersion in everyday German language. What's more, the podcasts on the list are just a few of many German podcasts available online. So, this is just the beginning of your German podcast journey! Many websites even offer additional resources that can help you take your German vocabulary and grammar skills to the next level. By tuning in to your favourite German podcasts a few times a week, you can boost your language competency with minimal effort. As your proficiency grows, challenge yourself by pushing your limits with more advanced podcasts. Regardless of your level, you're sure to find a German podcast that's motivating, interactive, engaging, and challenging. Do you listen to podcasts in German? Has this list given you ideas for new podcasts to listen to in German? Let me know in the comments below. Get my best fluency-boosting, grammar-busting German tips by email.